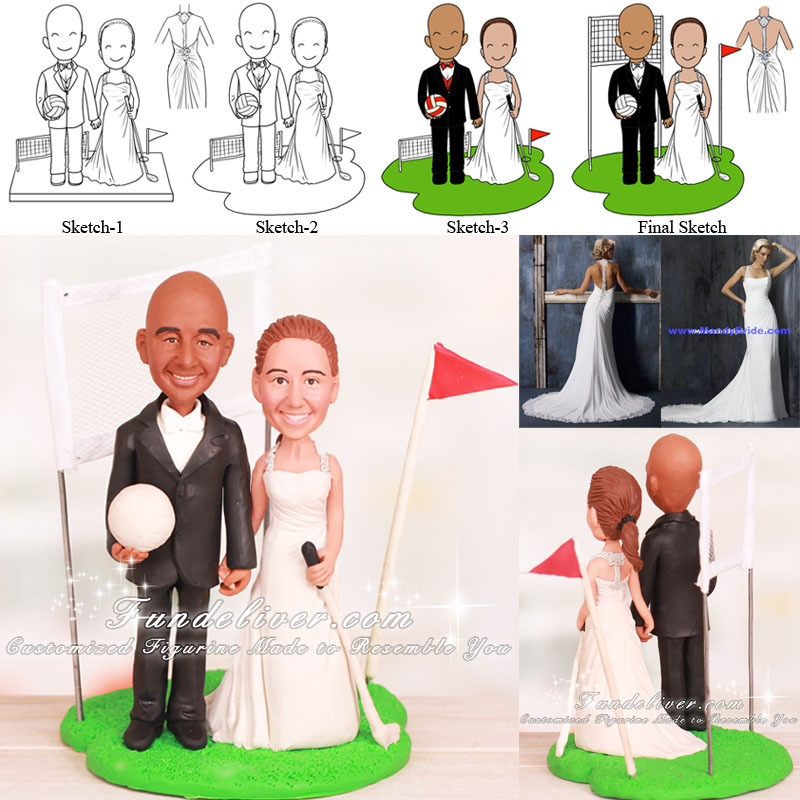 This is a completely customized golf and volleyball wedding cake topper ordered by one of our customers. They would like a sport cake topper but with the bride in her dress and him in his Tux. For her dress, it is a Maggie Sottero dress called the Caprice. For her husband's tux she would like just a normal tux with a white vest and white bow tie. For the sport part of it she would like the bride to be holding a golf club in her left hand and the groom to be holding a volleyball on his right side about waist high. The bride is on the left side of the figurine and the groom is on the right. The sports equipment that they are holding is on the outside of the figurine. Also the groom is bald. Behind the bride a small golf hole with a flag and beside the groom on the right side, a small volleyball net. The base is green like grass. 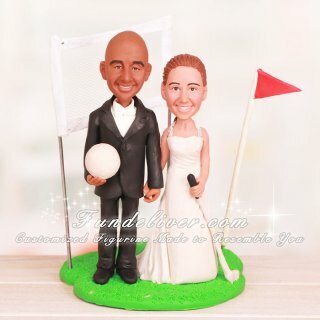 This will be perfect volleyball and golf cake topper for sport theme wedding.